Concerns about the fitness of Cian Dillon, Conor McGrath and Seadna Morey ahead of Sunday week’s Munster Senior Hurling Championship opening tie have increased after all three took no part in Tuesday’s behind-closed-doors challenge with Galway at Cusack Park. The trio have seen no action for a number of weeks and while no one has been ruled out, it is believed McGrath has practically no chance of playing against Limerick. He hasn’t trained or played in a month due to the recurrence of a hamstring injury. Joint team captain Dillon has also been out of action because of a quad injury. Sources close to the team feel that the Crusheen man still has a chance of playing a part in the provincial quarter-final. It was hoped the three would have played some part in Tuesday’s game, the last big workout before the Thurles tie. Tony Kelly also missed Tuesday’s game but the Ballyea man is fit for action and will be in the starting line-up. The loss of McGrath or Dillon, in addition to Colm Galvin, who is in the US and Brendan Bugler, who is out due to suspension, will dent the Banner’s hopes of victory. On top of that, Seadna Morey, who was pressing strongly for a place in the starting line-up and certainly would be very much in the running to replace any of those who will be out, is struggling to shake off a troublesome injury. 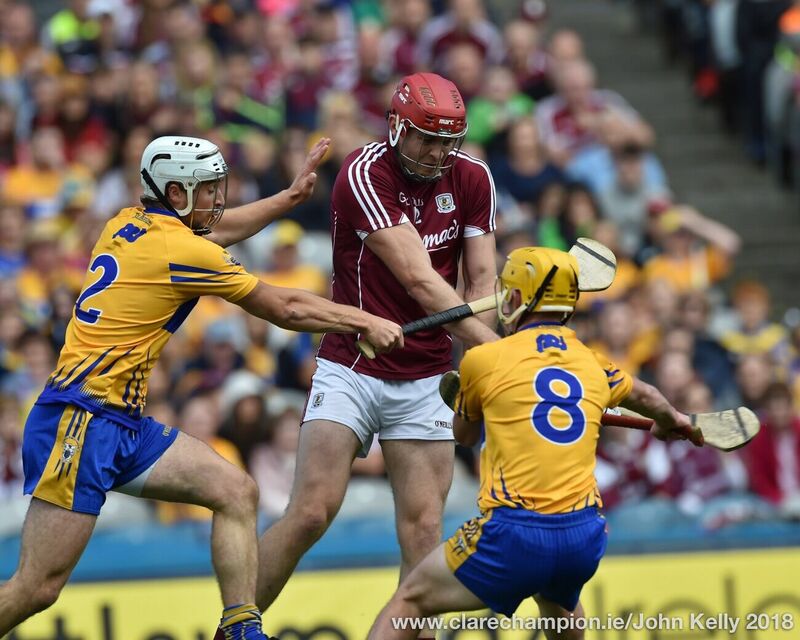 There is some hope, however, that the Sixmilebridge man will play some part in the game. Galway won Tuesday’s game by five points, 2-22 to 0-23.